Monday 6th & Monday 27th May 2019. In a life threatening emergency dial 999 for an ambulance. Please ensure you pass onto us your up-to-date contact details at the earliest opportunity. An ANP is a nurse who manages the complete clinical care of their patient. They are highly experienced senior nurses who can assess, diagnose, prescribe and treat clinical conditions. They can also refer, admit and discharge within appropriate clinical areas. District nurses provide urgent interventions such as palliative /end of life care, wound care, problems with catheters or tubes. They can also provide district nursing advice and support. Carers provide an urgent response to community alarms and telecare calls for vulnerable people and older people who need assistance. They also support individuals with urgent personal care, end of life palliative care and emergency community alarms when required. An out-of-hours GP will see or advise you about urgent medical problems that happen when your own GP practice is closed. The out-of-hours GP will not provide a routine service similar to in-hours practice and should not be used as a second opinion. Mental health nurses from the Crisis resolution team offer assessment of urgent mental health cases. They determine which services or interventions are required to best meet the individual’s needs. Assessments are conducted either by telephone or, when required and appropriate, on a face-to-face basis. Service support staff are an administration team who work during normal office hours to provide administration support, which maintains the smooth running of the out-of-hours service. An operational and driving team also work during out-of-hours to support the team. Barrhill will be alternated by all 3 GP's. During leave this timetable will be subject to change. Are you interested in the medical practice? Do you want to have a say in what services are provided? If so please join our group. We aim to meet 3 times per year, (more if you wish) to discuss any issues affecting the practice. If you are interested in joining please ask for more information. Your input is greatly appreciated and we would value more people coming along. PLT is dedicated training time for all staff, where we aim to enhance our skills and knowledge as individuals, in order to improve the effectiveness of the Practice and the services we offer to you as patients. On these days the Practice will close from 12.30pm and will re-open the following day. Once dates are confirmed for 2019 we will display as soon as possible. Emergency medical cover will be provided by ADOC. Dial 111. In a life threatening emergency dial 999 for an ambulance. The Samaritans are launching a new free-to-caller number – 116 123. This number is free to call from landlines, mobiles and payphones. It will enable more people who may be struggling to cope to access our vital service, which provides round the clock support, every single day of the year. The new 116 123 number will replace Samaritans’ national UK number, 08457 90 90 90. If informants need to carry out a registration, it would be extremely helpful, if you could telephone in advance of the visit so that a suitable appointment can be made. Please note South Ayrshire Registration Offices will close at 4.45pm on Thursday 18th April and will re-open on Tuesday 23rd April at 8.45am. 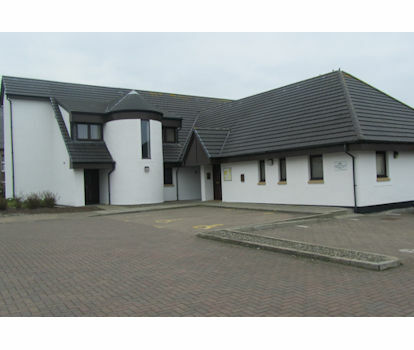 Girvan Registration Office will operate from the Ayr office on Tuesday 23rd April and re-open on Friday 26th April at 8.45am. An on-call telephone service will be provided on Sunday 21st April between the hours of 9am & 10am. Evelyn Walker tel. 07933445609. Phone: 01776 888439 Please phone to make a suitable appointment. MSK Ayrshire and Arran have recently launched a new website to assist with the advice and management of musculoskeletal conditions. At present it contains information and exercises for OA knees, patellofemoral pain and chronic pain management. Although only recently launched early feedback shows an appetite for further information so over the next few months the website will be continually updated with other common MSK conditions. Welcome to our website where we hope you will find enhanced convenience added to first class healthcare. Find out when we are open and how to see a member of the team. We’ve made life a little easier with practice updates, news on the latest health issues and even access to repeat medication all at your fingertips. Access to a wide range of healthcare services is a key element of a good local practice. We don’t just want to see you when you’re ill we want to make sure you stay healthy too. Check out how we can cover both bases with our clinics and services. Our professional team will ensure you receive the best attention at all times whether you’re attending a specialist clinic or a routine appointment. If you’re new to the area registration is easy and comes with the comfort of discretion and confidentiality assured.